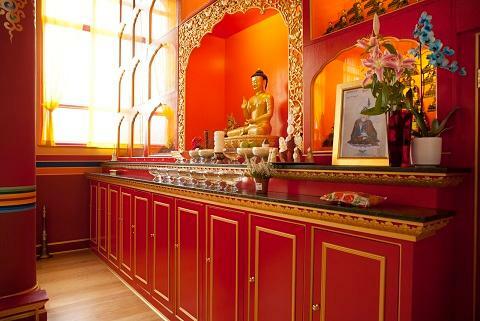 Kagyu Samye Dzong aims to provide a place of peace and tranquility for all in central London, with the shrine room available for individuals to come and sit during the day. For full details of the Centre, including the programme of evening meditations and forthcoming events, visit the website. The Centre will reopen at 9.00 am on Saturday 9th January. Choje Lama Yeshe Losal Rinpoche will be visiting the Centre in June. On Friday 24th there is an evening fundraising event for ROKPA, while at the weekend (25th-26th June) there will be teachings on Joyful Living Through Meditation. There will also be a refuge ceremony. Further details and a schedule will be available nearer the time. Volunteers needed to help weeding our allotment - we have been given a better, sunnier plot which needs a bit of preparation. .
We also welcome people who are interested in helping out regularly on a weekly basis in the Tibetan Tearoom, or with other work around the centre. If you would like to join our wonderful team of volunteers at the Centre, please contact the office. Course Donations - as you may be aware, last year we started offering dharma courses on a donation basis, without specifying a fee. Lama Zangmo has given an update on how this has gone which, if you missed it in the December Newsletter, you can now see on the website. We rely on the support and generosity of the wider community. Please think of other ways you can also support the Centre, such as through regular monthly donations and standing orders. Manor Place - has now been completely vacated and handed over to the developers. We would like to say a big thank you to all those who helped Karma Damcho clear out our old Centre - you made a long and dirty job that much easier and quicker. For those new to, or just interested in Buddhism and wanting to know more we have a number of events coming up in our new programme. Lama Zangmo will be teaching on The Four Noble Truths and the Noble Eightfold Path over four Thursday evenings, starting on 14th January. These are the foremost teachings of the Buddha and this course will give you a great introduction. Building on this are a number of other courses exploring aspects of these in more detail including: Gelong Thubten's The Buddha's Teachings on Mindfulness in March, and Impermanence, Karma and Interdependence in May; while Lama Zangmo will be teaching on Taming the Mind Through Meditation in March, The Four Thoughts that Turn the Mind to the Dharma in April and May, and The Seven Points of Mind Training during May and June. Of course theory and practice need to go hand in hand and to support that, not only are there the frequent Introduction to Meditation courses run by Bernard Mordan, there are also weekly Shinay meditations in the Shrine Room on Wednesday and Friday evenings from 7.00 - 8.00 pm as well as other regular pujas listed in our weekly programme, not to mention monthly practice days, listed in the programme as Simply Meditation, the first one of which takes place on Sunday 24th January. Inspiration also helps, as well as study and practice, and in June we will be receiving a visit from Choje Lama Yeshe Losal Rinpoche who is very much the living embodiment of the topic of his teachings - Joyful Living Through Meditation. 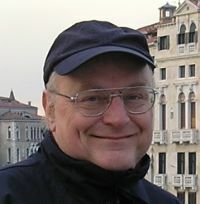 Over the weekend of his visit, for those who would like to formally become Buddhist, there will be a Refuge Ceremony. This is just a small selection of the many teachings and events going on at the Centre this year, but for those of you new to Buddhism, we hope it gives you a useful starting point. Starting on Friday 5th February, we can give you the opportunity to learn Tibetan from a mother tongue native Tibetan speaker. Tenzin Samten is an experienced Tibetan language teacher, who is used to teaching non Tibetan speakers. He us currently already running courses at Jamyang Buddhist Centre. The course starts from the basics with the alphabet and learning to read and write, as well as a bit of vocabulary along the way, but focusing mainly on developing good reading and writing skills and good pronunciation, with a view to continuing the class further. This will enrich your experience and open up the door to a fuller appreciation of the texts, pujas and prayers as well as the richness of Tibetan Buddhism and Tibetan culture. Places on this course are limited to only 12 students so, if you're interested, booking sooner rather than later would be advisable. Full course details are available on the website. If you are interested in studying with Tenzin Samten then please book a place early by contacting the office. and succinctly outlines in 28 categories what we need to know at every stage of the path in order to perfect our spiritual practice. Lama Zangmo will go through this text, and the course will consist of monthly Saturday classes with teachings on the text along with practice instructions for a graduated daily meditation schedule at home. It is suited for those who would like to study Buddhism in more depth and wish to develop their understanding and meditation practice. People are asked to attend the full course and commit to a regular daily meditation practice. Full details of this course can be found on the website. A Precious Garland of the Sublime Path with Lama Zangmo runs on one Saturday a month, commencing on 23rd January. You can book your place via the course page on the website. Donations can be made by clicking on the PayPal button at the bottom of the page. PLEASE NOTE: As this weekend course will provide instruction in Vajrayana deity practice, it is only open to those who have taken refuge and have also received Amitabha initiation. This practice is a deity yoga which helps with preparation for death as well as praying for those who have passed away. Amitabha is the main deity of the Padma or Lotus family which symbolises the transformation of desire and attachment. Instructions will be given for the text and visualisation. There will also be teachings on Amitabha's pure land, the realm of Dewachen (Sukhavati), the Place of Great Bliss. This is a very pure rebirth which one can aspire to, where one can achieve great benefit for oneself and others. There will be an explanation of how to visualise the appearance of Dewchen as well as how to train in the four causes for rebirth there. 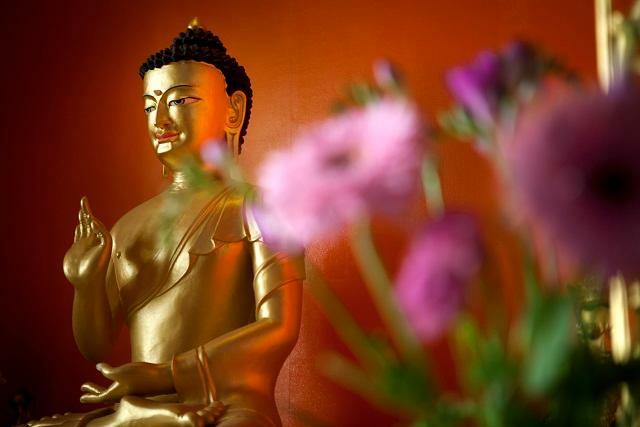 Teachings on the Amitabha Sadhana with Gelong Thubten starts on Friday 15th January, 7.00-8.30 pm and continues over the weekend of the 16th-17th from 10.00-4.00 pm. You can book your place via the course page on the website. Donations can be made by clicking on the PayPal button at the bottom of the page. This is a good time of year between western and Tibetan New Year to look again at our lives and let go of the habits that limit our freedom. The way we can go forward is to observe our habits in kind and wise attention. Then we can change the ones that are not helpful. This coming year can be wiser and kinder if we apply some effort, willpower and mindful attention. This course is suitable for those totally new to meditation or those with a little meditation experience. The course will include meditation instruction. New Year, New Beginnings takes place on the weekend of the 30th-31st January, 10.00 - 4.00 pm. You can book your place via the course page on the website. Donations can be made by clicking on the PayPal button at the bottom of the page. To see the full programme of activities at the Centre, please visit the website. The Centre will close after the Chenrezig Puja on Sunday 20th December and will reopen on Saturday 9th January. This "Introduction to Meditation" course is limited to 50 participants. Our courses tend to fill up quickly, so booking a place in advance is absolutely necessary. We can only guarantee admission to those with a confirmed booking. Lama Zangmo will present an introduction to Buddhism based on the foremost teachings of the Buddha, the Four Noble Truths and the Noble Eightfold Path. This practice is a deity yoga which helps with preparation for death as well as praying for those who have passed away. A day of extended meditation practice is a chance to get together with fellow practitioners and gain greater depth in the experience of meditation. This is a good time of year between western and Tibetan New Year to look again at our lives and let go of the habits that limit our freedom. The way we can go forward is to observe. Join the KSDL Sangha for the mothly Guru Rinpoche Tsok Puja which is said to help overcome external and environmental obstacles and inner mental obstacles. Please bring food as an offering for the Tsok. Lama Zangmo will present an introduction to Buddhism based on the foremost teachings of the Buddha, the Four Noble Truths and the Noble Eightfold Path. The course runs over four Thursday evenings. An opportunity to learn Tibetan from a mother tongue native Tibetan speaker. Tenzin Samten is an experienced Tibetan language teacher, who is used to teaching non Tibetan speakers. He us currently already running courses at Jamyang Buddhist Centre. Mindfulness is all the rage but a close reading of the Buddha's teaching on this practice points to a lot more 'body' than 'mind'. This provides a solid foundation in Mindfulness Practice and you are welcome to join this course after completing the Mindfulness Practitioners Foundation course or the Mindfulness in Education module. Join us every *Sunday* morning at 8*am* for Green Tara which is a practice that helps to remove fear and obstacles. *As the Centre's main doors are not open until 9.00 am, please let us know if are planning to attend. Everyone at Kagyu Samye Dzong London wishes you a Happy Tibetan New Year, the Year of the Male Fire Monkey. Weekly video teachings with His Holiness Gyalwang Karmapa, Ogyen Trinley Dorje, covering topics relevant for both beginners and more experienced practitioners. Suitable for all. Green Tara practice helps us overcome inner and outer obstacles, and especially the obstacles of our own fears and self-doubt. A weekend of Amitabha practice dedicated to the swift return of our precious Founder and Teacher, Chöje Akong Tulku Rinpoche. 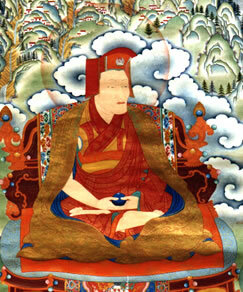 This will be a day of accumulation of Guru Rinpoche mantras for Chöje Akong Tulku Rinpoche. This evening we also have our monthly Guru Rinpoche Tsok Puja. Everyone is welcome to attend.